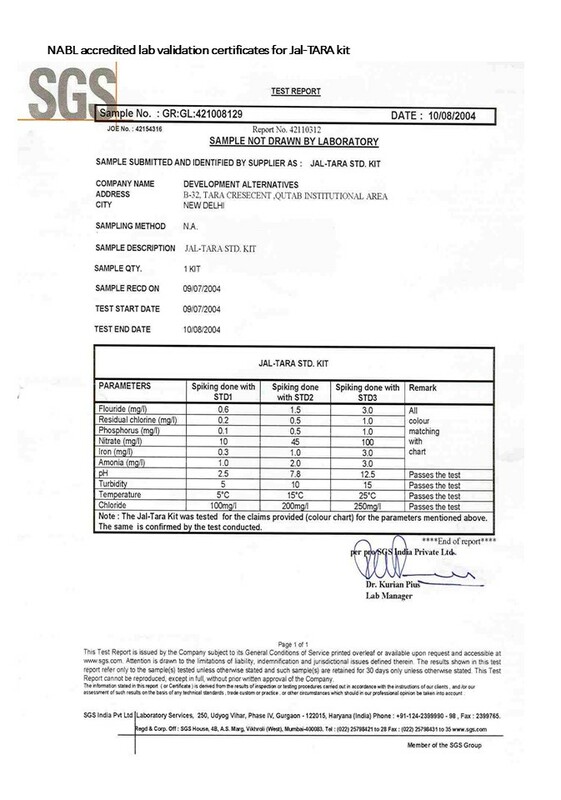 All the products of TARAenviro are validated by labs which are accredited by National Accreditation Board for Testing and Calibration laboratories (NABL). 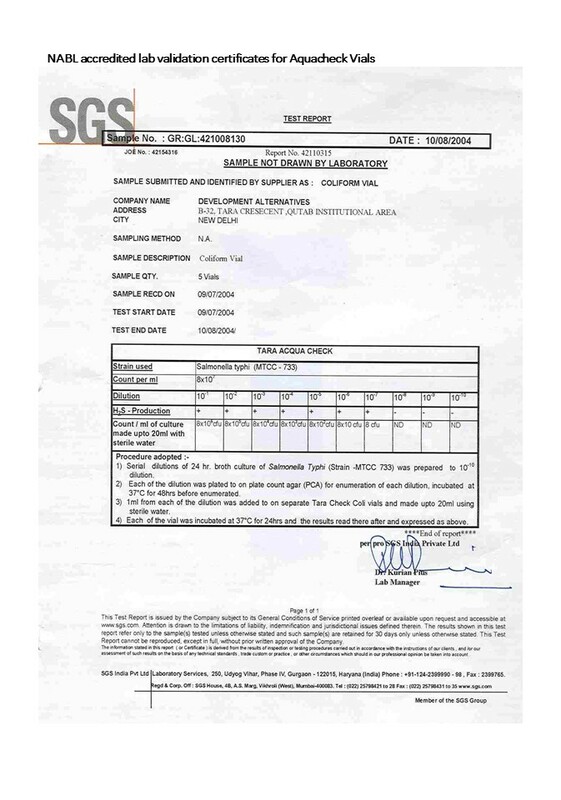 These labs ensures its quality and performance as per the testing guidelines of NABL. 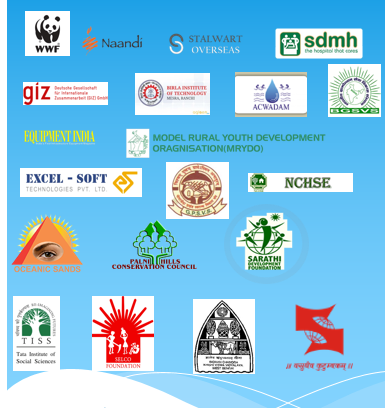 NABL is an autonomous body under the aegis of Department of Science & Technology, Government of India, and is registered under the Societies Act. It assesses laboratories in India for quality and consistency in the results. 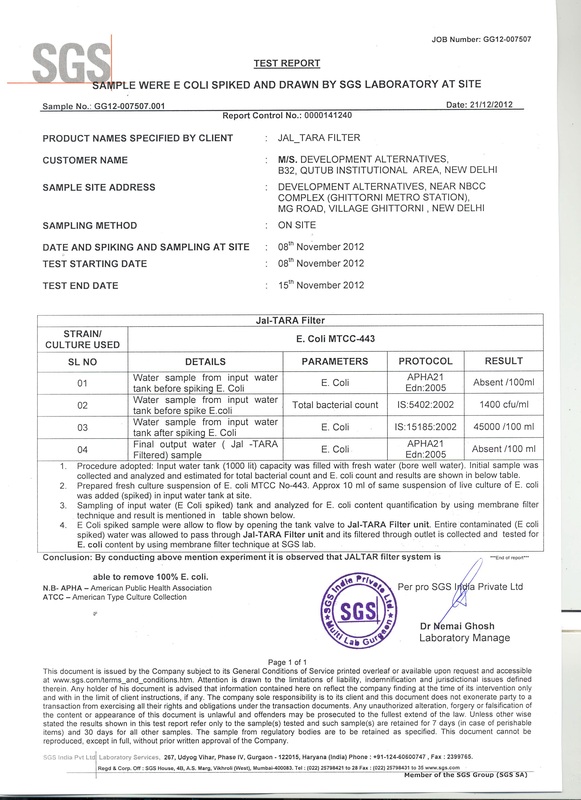 NABL Lab certification has been provided to this product for checking microbiological quality of water. The presence of coliforms in drinking water is consistently associated with organisms that produce Hydrogen sulphide (H2S). Water borne diseases like typhoid, cholera, diarrhoea and jaundice are caused by polluted water supply. Natural filtration of water also known as slow sand filtration technique. Removes iron within permissible limits as per Bureau of Indian standards(BIS) guidelines. 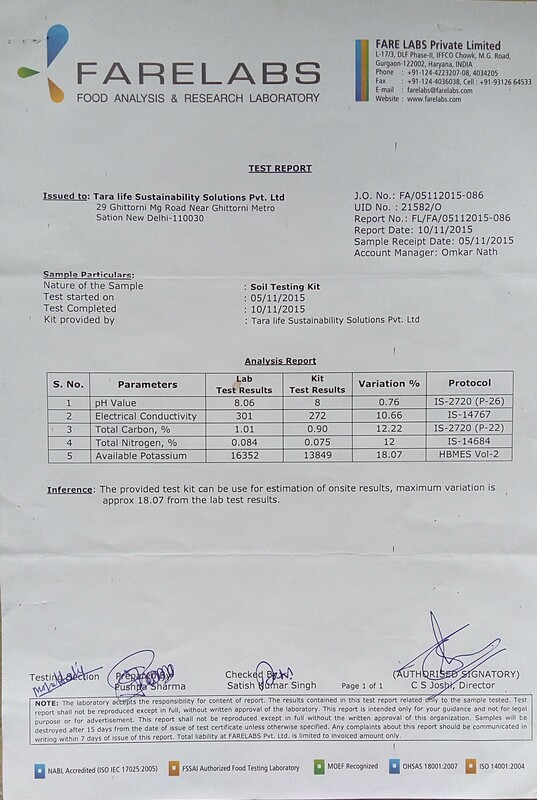 The certification has been provided based on its capacity to detect 6 important parameters in soil like PH, Electrical Conductivity, Organic carbon, Nitrogen, Phosphorus, Potassium. The results provided are semi-quantitative.